*This post is sponsored by Reebok and FitFluential. All opinions are my own. 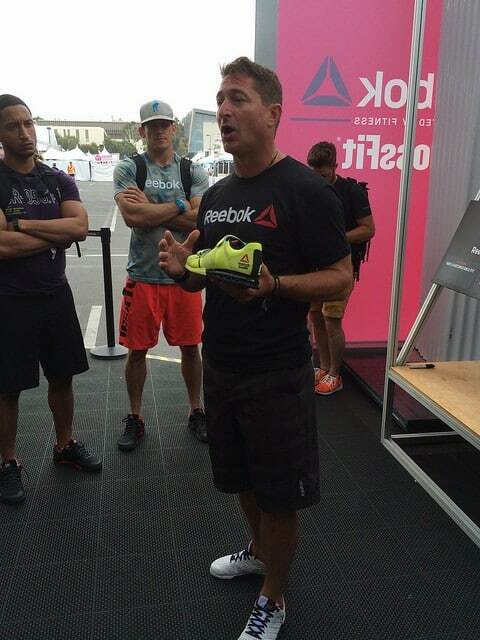 Reebok was pretty awesome to us on this trip providing a bag filled with some of the new 2014 CrossFit gear including a pair of the Nano 4.0s. It was perfect too because no one at the StubHub Center wears “real” clothes the whole weekend. Everyone is decked out in Reebok or Lululemon from head to toe and it’s probably the one place you can get away with wearing workout clothes outside of the gym and not feel like a bum. Granted, I do that all the time in real life. Friday morning we got a private tour of the Reebok retail space at The Games and the Reebok design team, including Reebok’s president, Matt O’Toole, took us through all the new gear explaining the thought process on the design and evolution from the previous models. We started with the clothes and went over the new board short styles, performance tanks and compression gear. Now that I’ve worked out in these board shorts, I have to say the comparison from last year’s version is night and day. Board shorts can be weird when you’re all sweaty and since they’re pretty short, squatting below parallel with material that gets stuck on your upper thigh is not the most comfortable (or flattering) thing in the world. This year’s model is not only a cool funky pattern, but the material is softer and moves better with your body, especially when you’re a sweaty mess (like I was after Fight Gone Bad later that day). My other favorite piece we got to test out is the CrossFit skinny strap bra. It’s got the same design pattern as the board shorts in pretty much the perfect bra set-up. It’s flattering (tell me how many sports bras you can say that about? ), it’s supportive and it’s fun. I could wear it + one of the soft performance tanks all day long…so comfy. One of the cool things Reebok did this year with design is incorporate some of the “secret” language of CrossFit onto the clothing. 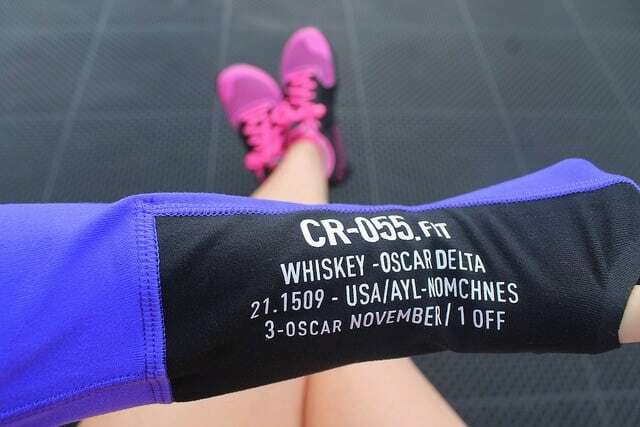 It’s very “military” in feel and if you don’t do CrossFit you’d probably think nothing of it but if you do, you realize the “Whiskey-Oscar-Delta” stands for “wod” (workout of the day and the 21.1509 stands for “21-15-9” which is the rep scheme of a lot of CrossFit wods including the infamous “Fran”. It makes you feel like you’re in the “cool group” when you realize you know what that means. Well done, Reebok. We then walked through all the shoes, from the Lifter 2.0 to the Lifter Plus 2.0 to the Sprint TR, the Nano 4.0 and the most recent design, the Nanossage TR. 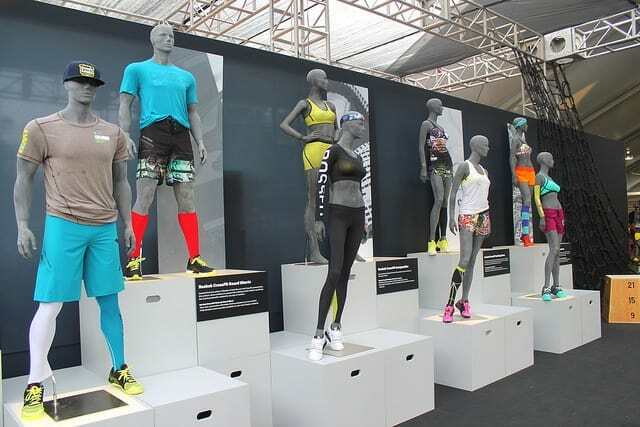 Hearing about the evolution of all these models and the new concept of the Nanossage which is a shoe intended for recovery purposes (basically, what you’d wear after the gym) was pretty cool. A lot of feedback from The Games’ athletes not only goes into the new design, it practically drives it. 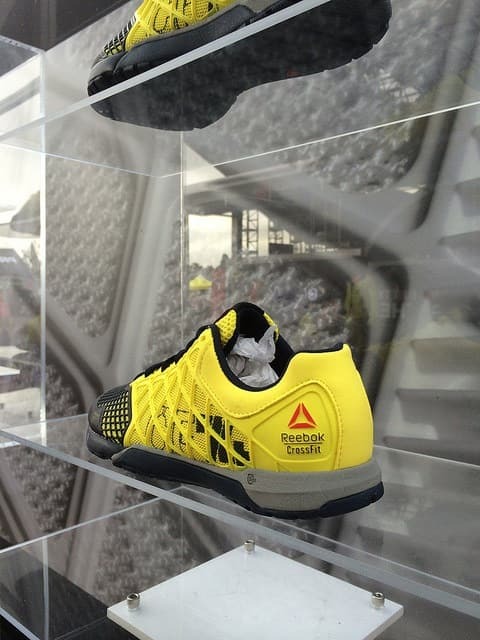 As The CrossFit Games is constantly changing the wods and keeping athletes on their toes, Reebok has to be able to keep up and change their products accordingly. One of the biggest overhauls this year is the Nano 4.0. Compared to the 3.0, the new Nano is more breathable, lighter and flexible. I now have both models and have to say the 4.0 is a major step forward. The 3.0s tended to feel heavy and “boxy” to me at times. 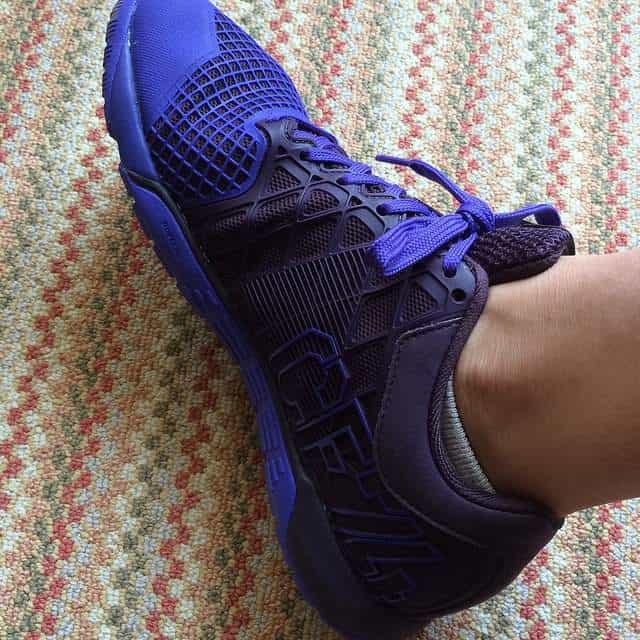 I want the shoe I wear in CrossFit to feel like an extension of my foot and the Nano 4.0 does just that. One of the cool and very practical improvements to the Nano 4.0 is the RopePro protection wrap which you can see on the midsole. Rope climbs are brutal, on your legs (hello, rope burn! ), on your arms and on your shoes from sliding down. I have a pair of shoes that are completely frayed in the mid sole area from rope climbs, so the RopePro feature is pretty genius in my opinion. The Nano 4.0 just feels like an all around more versatile version than it’s predecessors, perfect for your everyday wod, running included. Although, I’ve heard excellent things about the Sprint TR and would love to try those out on a running heavy wod as well. Those shorts are so cute!! Loving all the gear! 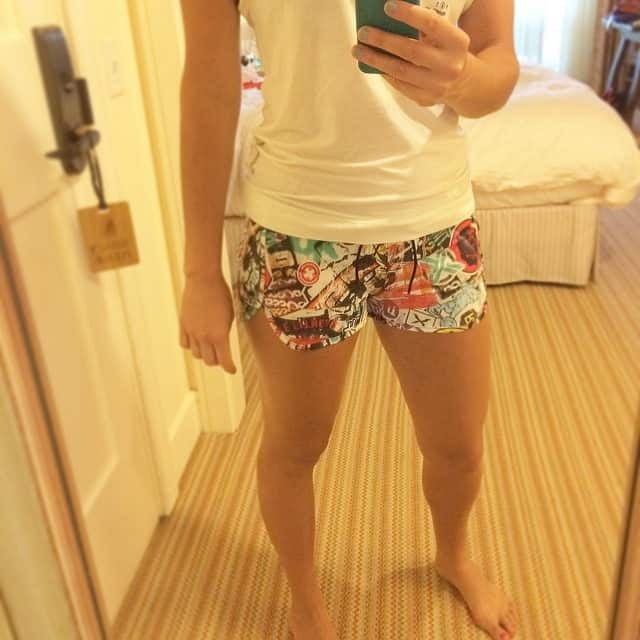 I love those board shorts!